As the warm Kenyan sun began to light up Nakuru lake- our incredible view from our hotel- we enjoyed an early breakfast before our day in the slums. Walking into the slums I felt like we were taking our lives into our hands as we crossed a busy Kenyan road, it felt like a game of Crossy Road if you’ve ever played that?! 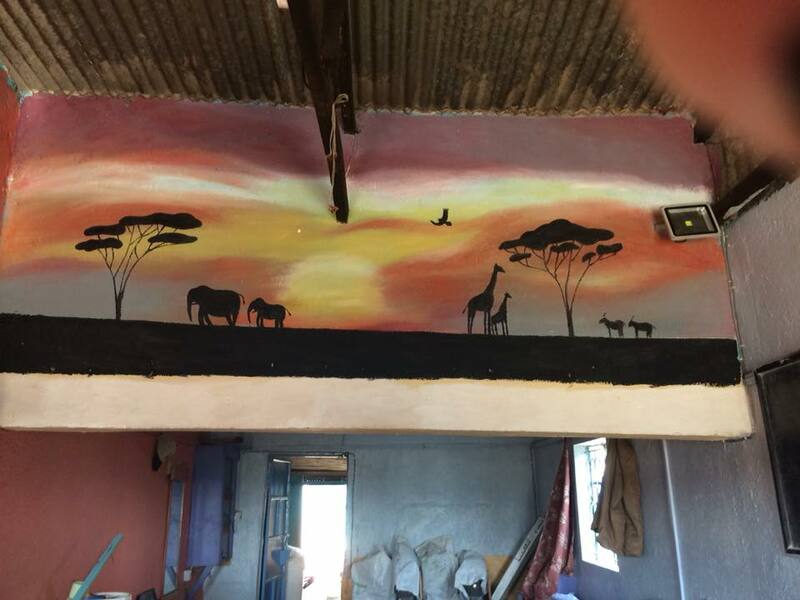 But we safely navigated the road and made our way along rugged, dusty, dirty, hole filled ‘roads’, passing roaming cattle; children shouting ‘how are you?’; and the resident ‘F.A.T Sacco’ taxis. Throughout the morning various women turned up to collect their supply of flour, rice and beans. Ray and Sam visited the school to organise visits for later in the week. Also, lots of children slipped through the door who we were able to give some of the ‘shoes that grow’. 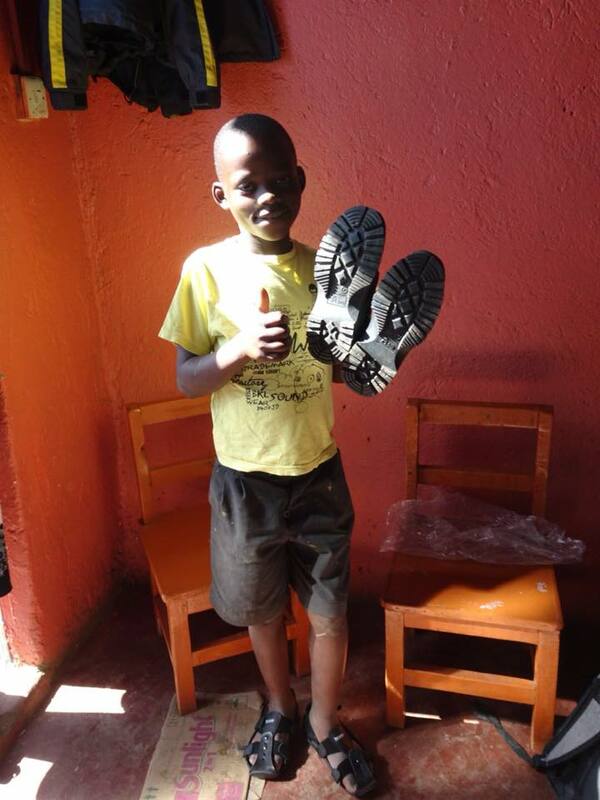 One boy, Miguel, is one of the children supported by The Doxa Project and it was great to see the smile on his face when we fitted him with his brand new shoes. Beck and Ray then went to visit some ladies who are currently being supported by The Doxa Project who are suffering from HIV. This was a humbling and heart rending experience which left us both emotional and lost for words. In Kenya HIV is seen as a shameful illness and many of the women are ostracised by their community. We learnt how one lady used to lock herself in her room and that’s where her alcohol addiction started. Never before have I experienced such poverty or brokenness first hand. We visited three ladies, all who live in tiny, mud huts housing often up to eight children as well as themselves. One lady, Milka, really touched our hearts. She has had HIV for eleven years and sleeps on the wooden slats of a bed with no mattress; her four children as well as her daughter and grandchildren sleep on the mud floor. Last week she suffered from malaria which exacerbated her HIV symptoms. The Doxa Project has been meeting with her since February; encouraging her and loving her and their weekly parcels of rice, porridge flour, beans, sugar and maize flour have helped to improve her diet and give her the nutrition she needs. Milka currently doesn’t have a water filter to prevent her from picking up further illnesses. The Doxa Project are going to provide her with a water filter- such a basic necessity – yet owned by so few. They are also going to provide her with a mattress, bedding and two mosquito nets to help improve her way of life. Such small things can make such a huge difference. As we were leaving, Milka cried and told us she now had hope, hope that she didn’t have before. She had such a warmth in her face and a fire in her eyes; a strong woman who is one of so many battling difficult circumstances. When we returned to the office we discovered that the ‘crossy road’ had sadly taken a man’s life. A reminder of the constant dangers out here. The mural is now complete and looking incredible. Emily and Jaz did a brilliant job. We all returned to the hotel tired, thoughtful, a touch emotional yet happy that maybe today we made just a small difference, somehow.